This might have seemed like a great idea at first. But it clearly was not since it scared the hell out of a toddler. What am I talking about you ask? Well, it is a little toy spider called Yellies, You see these spiders crawl faster everytime you scream. And yes that is just as creepy as it sounds. 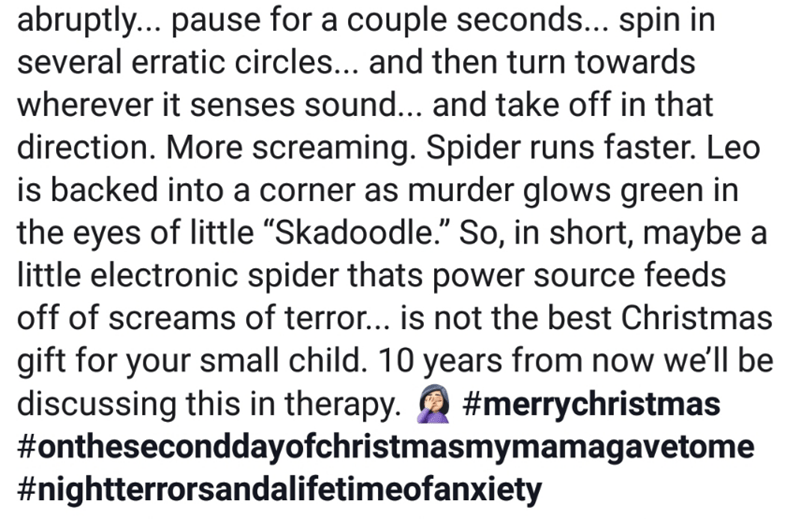 It all started when one mother decided to buy a christmas gift for her toddler, the little crawly might look cute to you but it definitely won’t to your toddler or even me who hates any kind of creepy crawlies. Why would you want to buy a toy called Yellies? I mean that is asking for disaster. That does sound a lot of fun for the mother but not so much for the kid. It might only be 5 years in the future but he might overcome his fears of spiders with this. Okay, That kid definitely does not look happy. 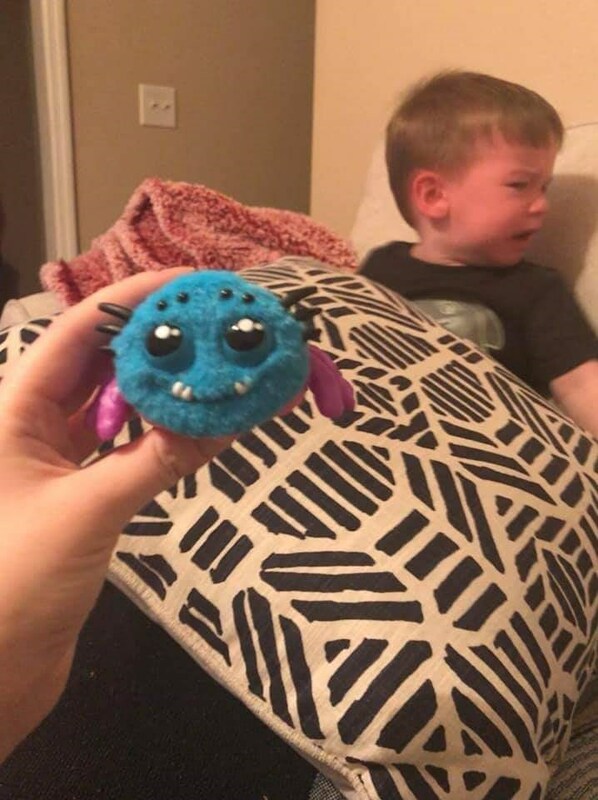 I am sure that this might want to make you buy a Yelly but I’d rather not play with a toy that looks like a colorful spider and feeds of your screams. Would you ever buy it for someone? Comment down below and let us know.